Perthshire-headquartered plumber LW Haddow has expanded into Edinburgh to better serve its customers in the capital and the Lothians. After working across Perth and Kinross, Fife, and Tayside for more than 30 years, the family-run plumbing and heating specialist is expanding its geographic focus with the launch of its capital base at 71 Balbirnie Place. 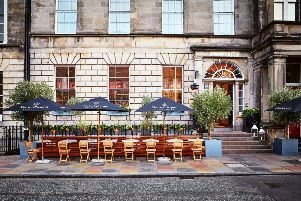 MD Mark Haddow said: “We have been steadily growing our customer base in Edinburgh and it made sense for us to make a base in our capital city. The business was established in 1982 and is part of the Haddow Group, which includes, The Bathroom Company and Haddow Bathrooms.